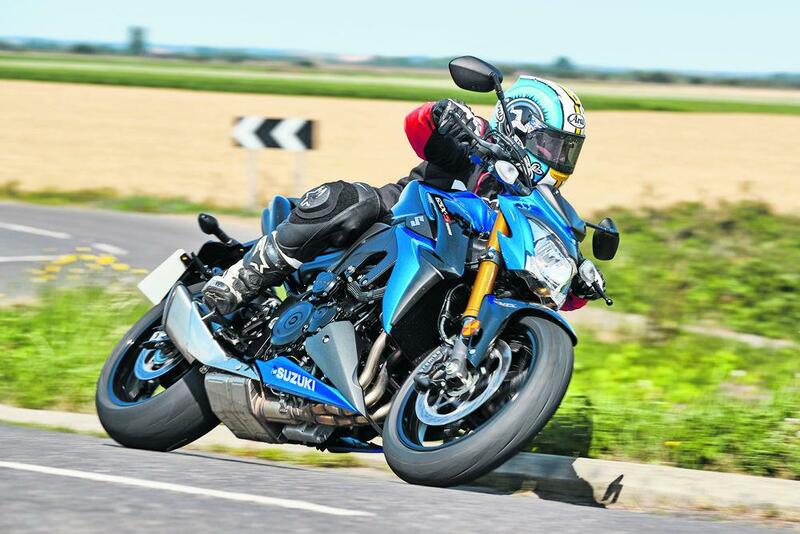 ﻿ Are the changes to the Suzuki GSX-S1000 enough? Suzuki’s GSX-S1000 should have set the world on fire when launched back in 2015. 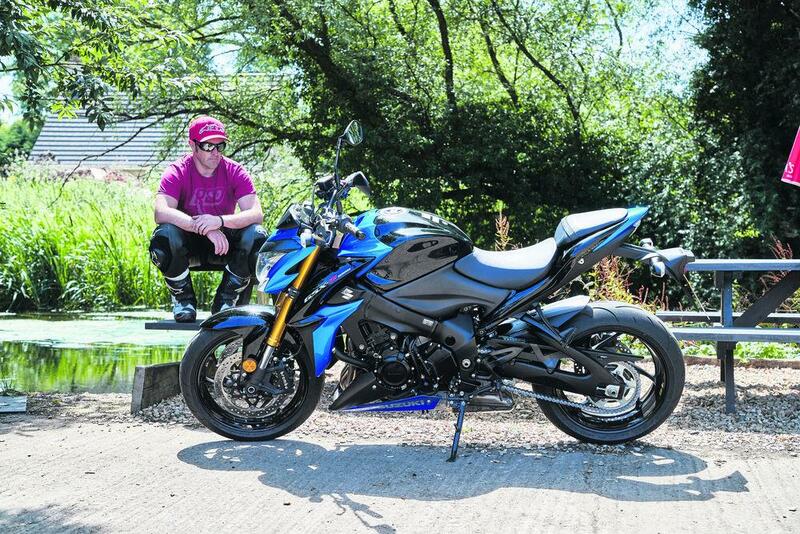 An aggressive naked, powered by a revised GSX-R1000 K5 engine – and all for under £9k. What’s not to like? Unfortunately, quite a lot. It was plagued by poor fuelling and further long-term tests highlighted other niggles. The rear shock lacked control when ridden hard and although the brakes came from Brembo they lacked the bite we’d normally associate with the Italian brand. So now Suzuki have had another crack at getting the super-naked near the top of the pile. For 2017, there’s more power and torque: 148bhp (up from 143bhp) 79.6ftlb (up from 78.2ftlb). Suzuki claim the power increase is down to new crankcase ventilation holes. They have also added a slipper clutch to make downshifts smoother and there are some minor aesthetic changes; such as black levers and foot controls. The old bike was never lacking power, by adding a few extra horses and increasing the torque they’ve added icing to an already excellent cake, as far as the motor goes. Make no mistake, the GSX-S is quick; the old bike was good for a true 150mph and would happily lift the front in the first three gears. Power was never an issue. The problem was always the initial throttle response and inconsistent power curves. Suzuki don’t claim to have improved the throttle response, though it feels cleaner than before – but still not perfect. The power is smoother, you don’t dip in and out of the torque as much as before, but there is still a surge around 7-8000rpm. Unfortunately Suzuki haven’t addressed the Brembo stoppers or the shock. The brakes are strong and progressive, but when you start to have fun they lack real bite. In previous tests in controlled conditions we found them a step behind the competition. The same can be said of the rear shock – fine for normal riding, but it all gets a bit out of control when ridden hard. The shock can’t cope with high-speed bumps. The fully adjustable front end is still excellent, steering is still accurate, the ergonomics fit all sizes and the traction control is more than adequate – and can be deactivated on the move. It’s a simple naked and it can be big fun. The price has edged up to £9699, from the sub £9000 price back in 2015, but the Suzuki is still £550 cheaper than a Kawasaki Z1000 at £10,249 and £1300 cheaper than Yamaha’s MT-10 at £10,999. And, after a £2000 deposit, the GSX-S can be yours for just £117 a month on PCP over 36 months, which is great value for money. Stick a better aftermarket shock on, work on the brakes and get used to the fuelling and you could be a very happy bunny! The GSX-S has more grunt than ever and is still a fast, attractive naked bike, priced competitively. But this is only a subtle upgrade and they’ve still not addressed the Brembo brakes or rear shock.